Ukrainian Cup 2015/16. Semi-finals. Return game. The first semifinal meeting in Oleksandriya ended in a draw (1-1). In the return game, the starting line-up of the Pitmen was somewhat different from the usual one. Anton Kanibolotskyi occupied the place between the sticks, with the central defenders pairing represented by Yaroslav Rakits’kyy and Ivan Ordets, with Eduardo spearheading attacks. Besides,Darijo Srna appeared from the off, but the captain's armband for the first time going to Viktor Kovalenko, who became the youngest captain in the team's history. Oleksandriya team got off to a sweeping start, but very soon the Pitmen started launching some dangerous attacking moves. Following an Ismaily pass, Eduardo shot from close range, with the goalkeeper parrying it away, then Shakhtar striker burst into the box, but the ball went a bit wide. On 15 minutes, they opened the scoring: Srna delivered a free kick to the goal line, where Maksym Malyshev fired an irresistible header just under the crossbar – 1-0. By the end of the opening 30 minutes, Marlos might have put his name on the scoresheet twice. In the first case, he missed the target from close range, with the second chance created by Srna, who literally bombarded the goal, with Oleksandriya keeper just miraculously rescuing his team. On 39 minutes, it was Kovalenko’s turn, with the away goalkeeper inexplicably parrying it away a point-blank attempt. Oleksandriya tried to carry out some quick counterattacks, although Kanibolotskyi was not particularly busy. The teams left for the break with Shakhtar enjoying a narrow lead. After the break, the game pattern did not change: the Pitmen launched some all-out attacks, with less dangerous chances occuring. In the 64th minute, Taison scored a goal, but it was disallowed due to his being offside. Later the Donetsk mentor Mircea Lucescu refreshed the offensive third through fielding Wellington Nem and Oleksandr Gladkyy. The active Nem landed a very powerful shot from beyond the penalty area - the ball went over the crossbar. Oleksandriya also produced a couple of dangerous long-rangers. In injury time, Nem sent it goalwards from the edge of the box, and in the following attack, after a long ball delivered by Ordets, the Brazilian skilfully forwarded it past the keeper, got to his feet and coolly struck it into the back of an empty net – 2-0. 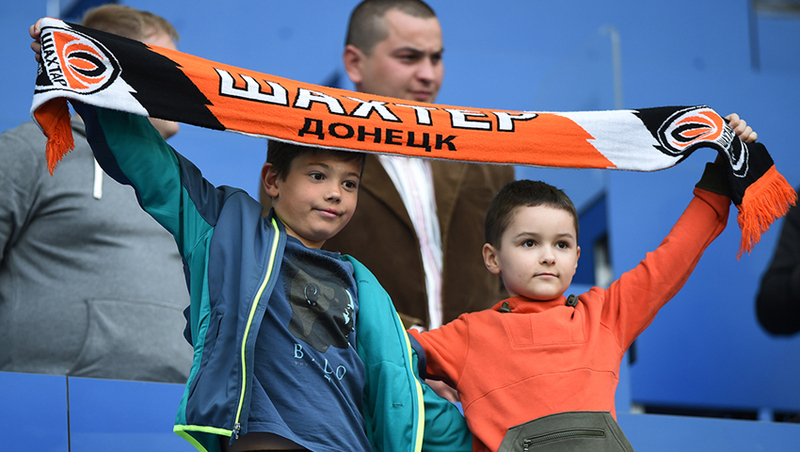 Thus, having beaten Oleksandriya, Shakhtar advanced to the Ukrainian Cup final to take on Zorya. This match is scheduled for May 21 in Lviv, with the opponents meeting in Zaporizhya in the Premier League closing round before that.